Do you or your college kid want to Study Abroad? 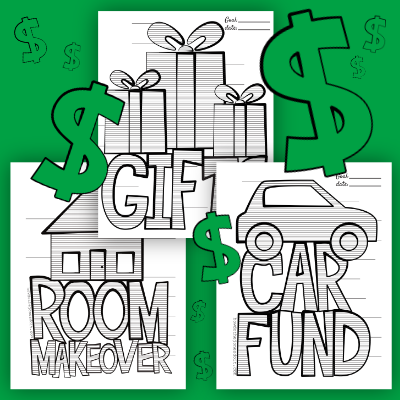 We’ve got a Sinking Fund chart for that! The Study Abroad Sinking Fund Chart is here to help you save CASH for your dream to study in another country! My daughter has her sights set on a year long Study Abroad program her sophomore year! She’s getting all her ducks in a row and even asked if I could make a Sinking Fund Chart! Woot! Gain access to the Study Abroad Sinking Fund Chart below! When you print, I suggest using Card Stock for durability. Determine how much you need to save for your Study Abroad and write it on the Goal line. Record the date you plan to spread your wings and fly. Write each increment on the lines shooting off the graphic with the smallest on the bottom. If you plan to save $10,000, you would write $1,000 on the bottom line, $2,000 on the next line, etc. As you save, color in the lines! Each increment consists of 10 lines to fill in. If you plan to save $10,000 and each increment represents $1,000, each line would represent $100. For every $100 you save, color in a line. Make your Study Abroad dream a part of your monthly budget! If you plan to save $10,000 and you want to save it in 10 months, you need to incorporate $1,000 a month into your spending plan. This mom’s heart doesn’t know if I can take my daughter going to another country for an entire year but I am so proud of my girl and her intense drive! Gain access to the Study Abroad Sinking Fund Chart here!